Living… in suburban Massachusetts. Richard loves his home but doesn’t get to spend much time there. He works as a Captain for cargo ships, a job that often calls him away for months at a time. Visiting… the Gulf of Aden. Phillips and his crew have to sail from the Port of Salalah in Oman to Mombasa. Unfortunately, that trip takes him through the Gulf of Aden, which is home to some of the most dangerous waters in the world. They serve as a breeding ground for pirates, who make their living capturing and ransoming the crews of cargo ships. Profession… captain of the Merchant Vessel Maersk Alabama. “You’d think these trips would get easier, but it’s just the opposite,” says Phillips’s wife. It’s true, despite his experience, Captain Phillips finds each journey more difficult – and more dangerous – than the last. Relationship Status… married. Due to the nature of his work, Captain Phillips and his wife are forced to be separated for much of the year, but they still maintain a healthy relationship through consistent email contact. Mrs. Phillip’s worries about her husband, but also knows that he’s one of the best at what he does, and that he’s capable of dealing with the dangerous situations that arise on the high seas. Challenge… defending his crew from a ruthless gang of Somali pirates. Richard Phillips knew that these waters weren’t safe, but was forced to cut through them in order to keep up with their demanding delivery schedule. Phillips is about to face the greatest challenge of his captaining career as he tries to marshal his crew and use their superior knowledge of the ship to outmaneuver the vicious and desperate pirates. Personality… resilient, tough and resourceful, Captain Phillips has always been someone who can stay cool under pressure. He doesn’t speak more than he has to, embracing a quiet and discipline heavy style of leadership. Intelligent and quick thinking, Captain Phillips is going to have to mentally stay one step ahead of the pirates if he hopes to avoid a bullet to the brain. 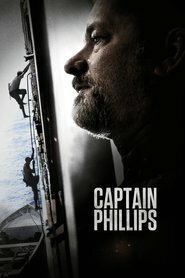 Captain Phillips's popularity ranking on CharacTour is #2352 out of 5,000+ characters. See our top-ranked characters and read their profiles.